Sweet or salty, chocolate or vanilla, your employees and customers are looking for a snack to help them get the energy they need to get through the day. Orsino Vending offers a wide variety of snacking options in their healthy vending machines to keep your team healthy and happy. 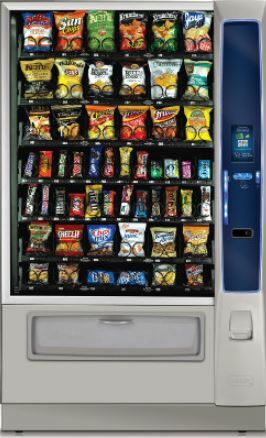 Our machines stock a wide variety of snack products including many crowd favorites, such as Nabisco cookies, Frito-Lay chips, and healthy options like Nutri-Grain bars and fresh fruit. The machines also rotate in new offerings regularly, with snack options rotated in and out depending on individual machine use patterns and location preference, as well as overall item popularity. The wide variety of options offered by Orsino Vending is sure to help keep your workforce’s hunger at bay and ready for whatever the day brings. Orsino Vending, based in Englewood, New Jersey, has served the region for more than 20 years, and can help tailor a specific vending solution for your individual needs. For more information on their product offerings, or for details on pricing and installation at your business, contact them today. Contact our vending company for quality snacks your employees will love.